In a large bowl, soak the bulgar in about 3 cups of boiling water and cover with a lid. 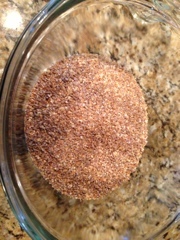 Let stand for 2 hrs till the grain is tender OR pressure cook the bulgar for 12-15 minutes in 2 cups of water. Let cool. 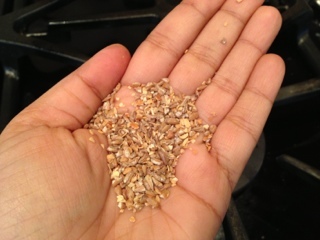 Using your hands, gently squeeze the water out of the bulgar. Meanwhile, Spread the veggies on a cookie sheet and drizzle a Tbsp of OO all over them. Bake in a preheated oven at 375 degrees for 10-12 minutes tossing in between. Let Cool. 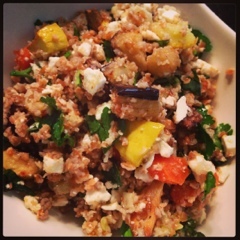 Toss the veggies and the bulgar together gently. Temper mustard seeds in a Tbsp of OO along with a couple of cloves of minced garlic till the seeds sputter and garlic turns a pale brown. 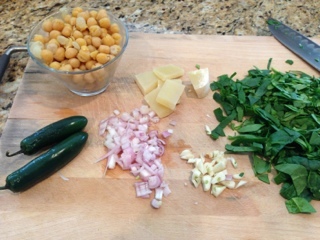 Add the curry powder. Toss the “tadka” in the bulgar- veggie mixture. Season with salt and pepper. Gently fold in the feta, lemon juice and the herbs. Add the remaining OO to the mixture. Toss well. 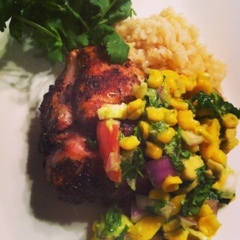 Let sit in the fridge for atleast 30 minutes for the flavors to develop. P.S: I also added some dried cranberries and dried pineapples. 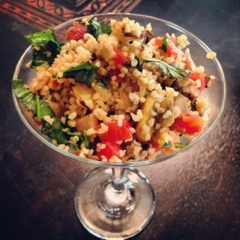 “Warm” Cracked wheat salad with sauteed mushrooms and fresh herbs. Boil about 4 cups of salted water. 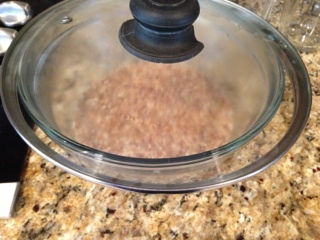 Add the cracked wheat and lower the heat to a medium and cook for about 18-20 minutes till the grain is cooked. Drain the cracked wheat. In a pan, saute the onions, garlic and the mushrooms (and chili) in a Tbsp of OO till a golden brown. Season with salt and pepper. In a mixing bowl, add the cracked wheat, mushroom mixture, tomatoes and the herbs. 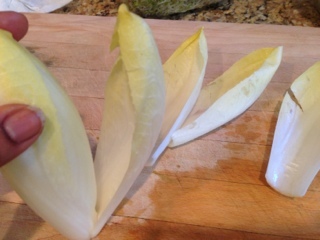 Check for seasoning and squeeze some fresh lemon juice before serving! 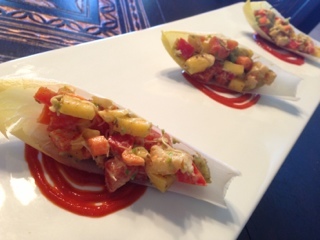 Participate in a mini culinary challenge …… me ? Well I guess, why not !? 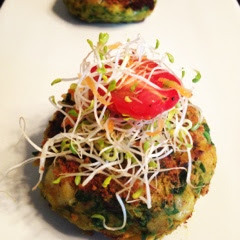 Encourage by a friend to post a unique recipe for the mini culinary challenge listed below. Trying to combine my Indian roots and southern American influence in this delicious BBQ sauce that I made. Hope you all enjoy it! Mix all the above; Add 1/2 cup of water and cook for 12-15 minutes on medium heat while stirring till thick and syrupy. Cool down completely. Use this sauce to marinate the meat and grill to your liking. 1 Cup of Basmati rice, rinsed in cold water and drained. Saute the dry spices in a Tbsp of OO (or any vegetable oil) for a couple of minutes till you can smell the aroma. Add the onions and garlic and saute till the onions turn pink. (about 4-5 minutes). Add the mushrooms and continue cooking for about 4-5 minutes till the onions turn a cool brown and the mushrooms wilt. Add the rice and toast for a couple of minutes. 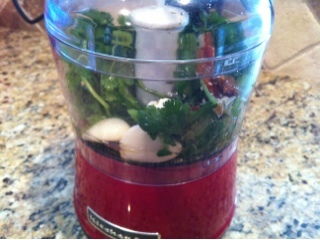 Add the seasonings and Add 2 cups of water( including the mushroom water). Cover the pot and cook on a medium heat for about 10 minutes. 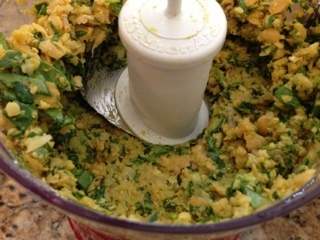 Add the mint leaves and the ghee and stir gently. Cook for about 3-5 minutes more till all the water is absorbed and rice flakes easily with a fork. Optional garnish- Squeeze some fresh lemon juice before serving. 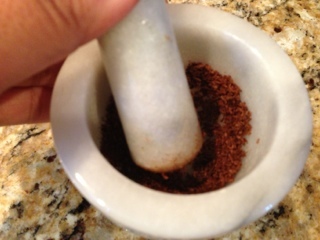 Using a mortar and pestle, grind the above to a thick paste. Rub over a cup of fingerling potatoes and roast in a preheated oven at 375 degrees for 12-15 minutes till the potatoes are done. 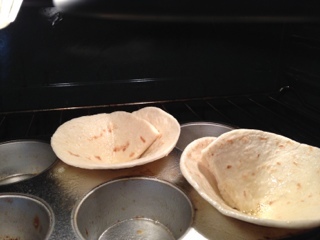 Fold your choice of tortillas in to a cone in a greased muffin pan. 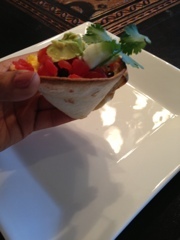 Spray some OO on the tortilla cups and bake in a preheated oven at 350 degrees for 10-12 minutes. 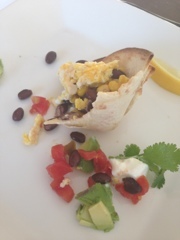 Let cool for a couple of minutes and fill with breakfast goodies like scrambled eggs, seasoned blackbeans, corn, chillies, pico di gallo, salsa, sour cream and fresh avocado!! Enjoy!! 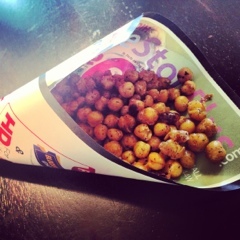 Moroccan inspired spiced roasted channa (Chickpeas) served in fun homemade newspaper cones! 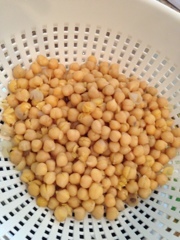 1 Cup of cooked garbanzo beans drained well. 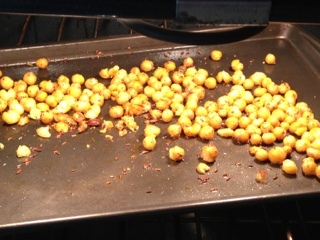 coriander powder ( 1-2 Tsp) and chili powder to taste. 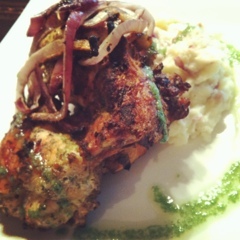 Roast in a preheated oven at 375 degrees for 28-30 minutes. Keep shaking the pan every 5 minutes. 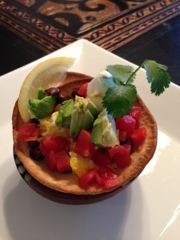 Serve immediately or store in an airtight container! 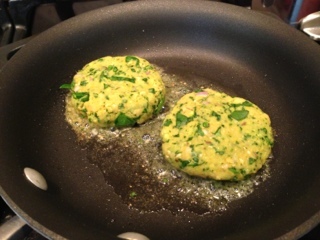 Spinach and chickpeas patty cakes! 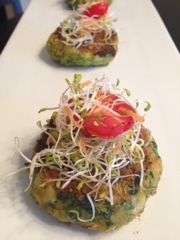 Pat a cake .. Pat a cake.. Well this is a different kind of a cake.. Savory, light and oh so flavorful!! Also a great idea to make ahead for a party !! Enjoy! 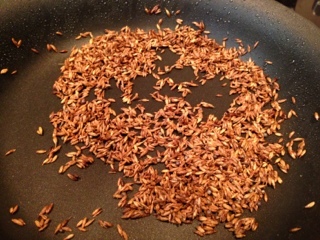 curry powder (1 -2 Tsp) and dry roasted and ground cumin seeds (1 Tsp). 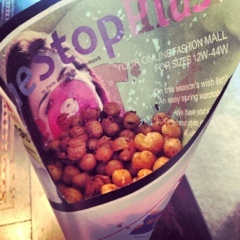 (Can be enjoyed without the shrimp too) !! till you smell the earthy fragrance. Let cool. 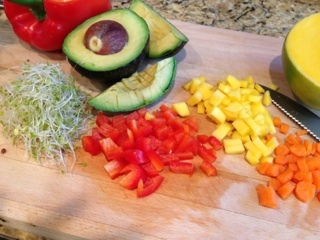 Add chopped goodies like carrots, peppers, mango and avocado. 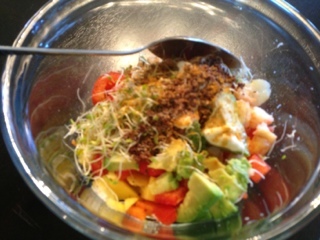 I also added sprouts for the crunch! 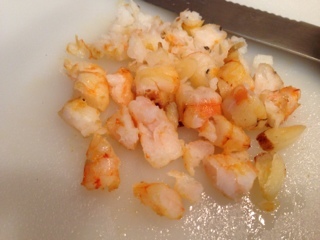 Saute a handful of de-veined and peeled shrimps with a clove of garlic for 4-5 minutes till the shrimp are opaque. Let cool. Chop all together. 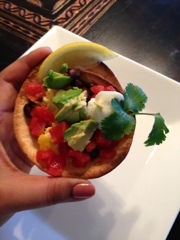 Mix all the above together with a Tbsp of Greek yogurt/sour cream or mayo. 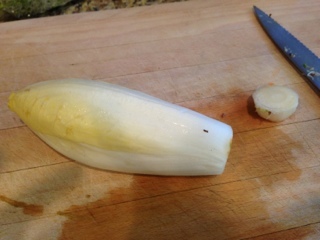 Peel each layer gently and rinse in cold water. Sometimes you have to have fun with your food!! 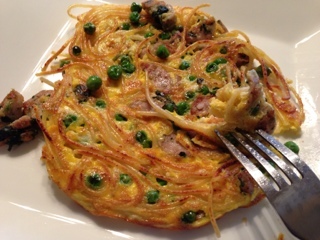 The crunch of the noodles adds an element of surprise to a regular omelette! Just use 1/4 cup of cooked noodles/lo-mein or spaghetti of your choice. 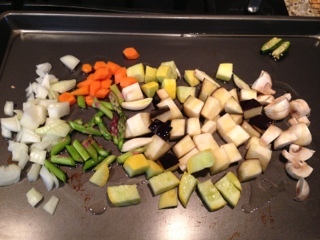 Crisp in a pan using a bit of butter for 3-4 minutes; add some gently blanched veggies and protein of your choice. 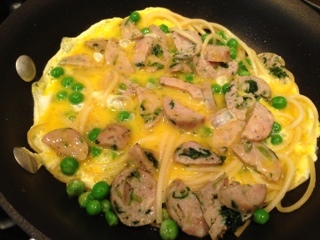 Cover with whisked and seasoned eggs and cook like you would a regular omelette.. Voila! Done! Enjoy!! Daylight savings time = Grill time! Part 2! 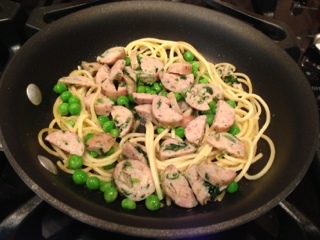 If you’ve tried this Argentinian classic, try my version! You’ll love it!! 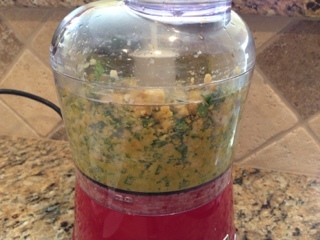 Blend all in a blender till chopped fine. 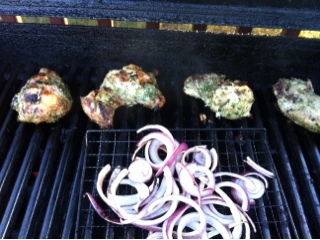 Marinate your choice of meat in this for atleast 30 min. Grill to your liking. Enjoy! Daylight savings time = Grill time! Mix all the above. Rub on your choice of meat and grill to your liking.